Summer means frolicking in flower fields. 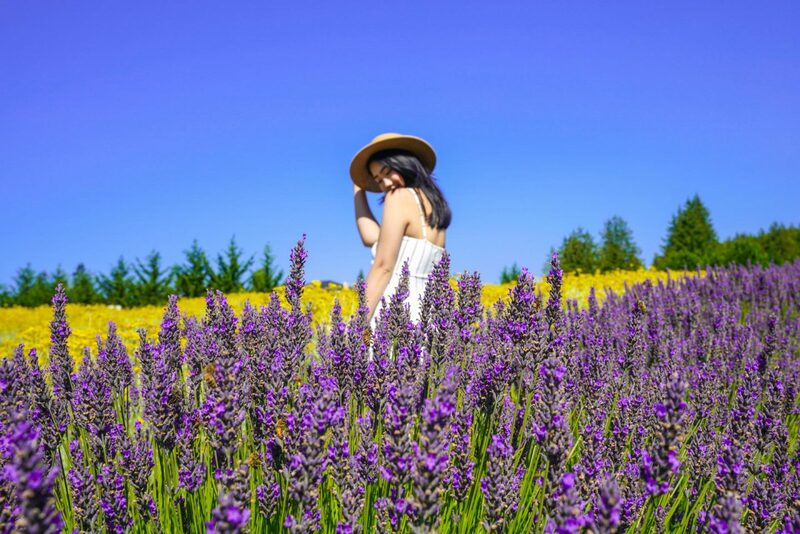 It also means it’s that time of the year where your Instagram feed is flooded with girls in pretty dresses at the world’s most popular lavender field in Provence. 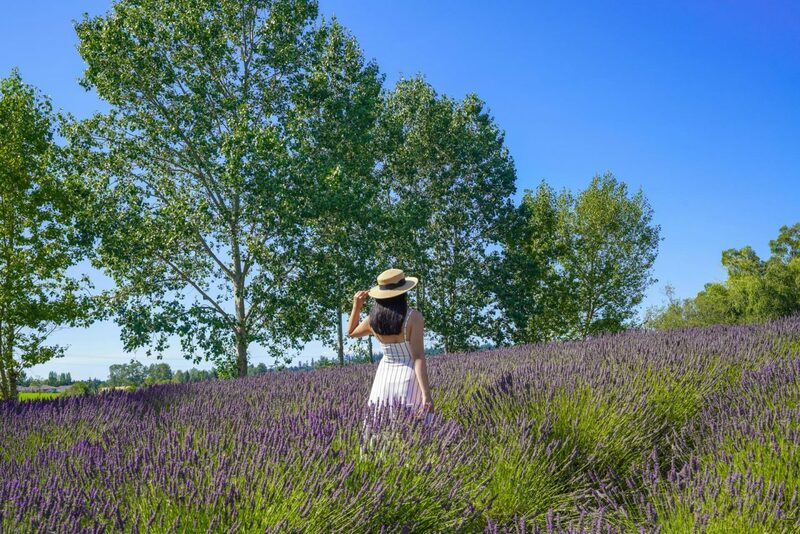 While the majority of us can’t just ditch work for the day to go see these magical blooms abroad, here are some of the most beautiful Sequim lavender farms that will make you feel as if you’ve been teleported to France! 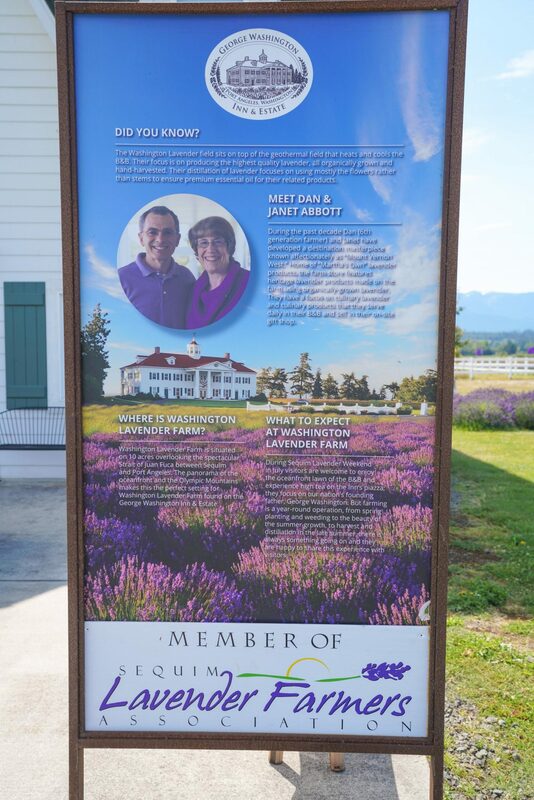 Not sure why I always slap myself in the face like this… Washington Lavender Farm technically isn’t in Sequim, but in Port Angeles. However, it’s only a short 10 to 15-minute drive away. 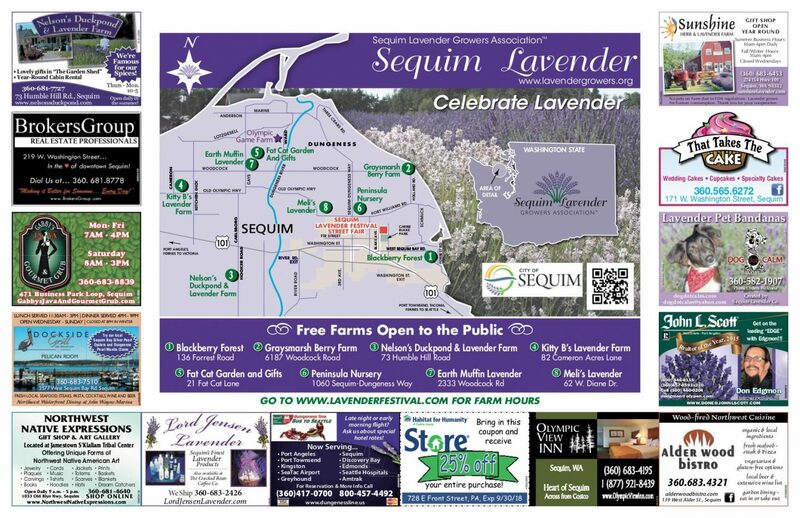 The official site for Sequim Lavender Experience actually lists it under Sequim lavender farms too so let’s not get into a heated debate over its location. Do you see the white blooms in the middle circle? Lavender actually comes in three colors: purple, white, and pink! What makes this farm special is not only its backdrop of George Washington Inn, but the fact that it is situated right by the ocean with epic views of snow-capped mountain peaks. (Can’t say you’ve seen a lavender field right by the waters now can ya?) 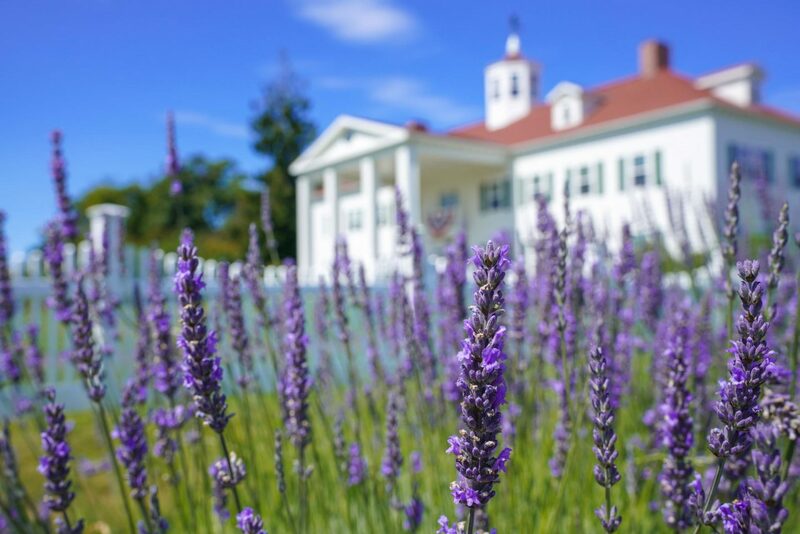 In addition to its lavender fields, the estate has been planted to landscape the grounds of the inn. 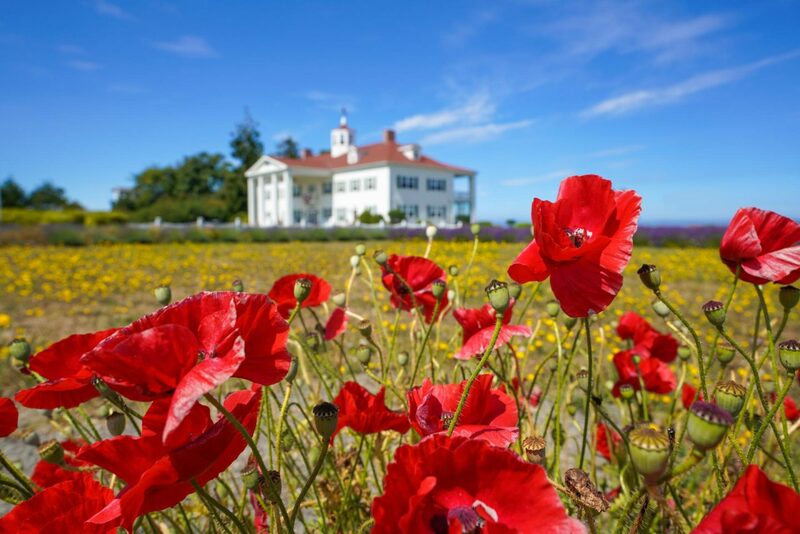 In other words, you get to see other stunning wildflowers such as dandelions and poppies. Now my visit was during Canada’s BC Day long weekend. Funny enough, the owners of the farm/inn, Dan and Janet Abbott, were originally Vancouver Islanders! Even though I celebrated BC Day out of the province, this trip still somehow tied in with beautiful British Columbia. Oh and don’t forget to check out their shop. 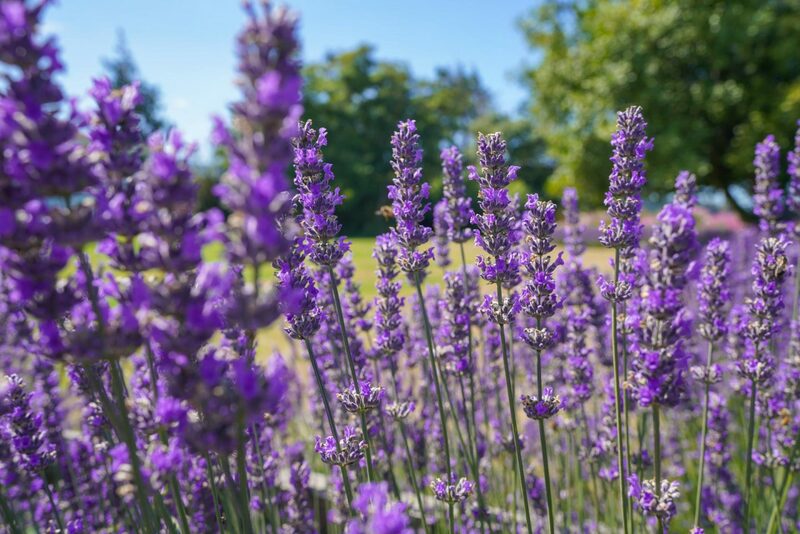 The lavender is organically-grown and harvested by hand with all products being made on-site. I especially fell in love with their lavender and magnolia-scented soaps! Quick outfit change to match the flowers ’cause I’m extra like that. Another fun thing about the farm is that they lend you hats to wear! 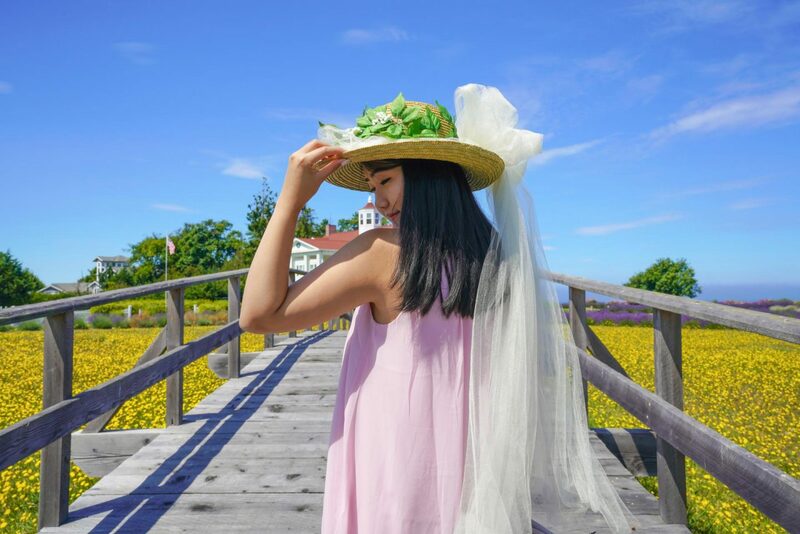 We’re talking extravagant straw hats that you see at fancy tea parties. I chose a simpler one with a long tulle ribbon trail and ughh sooooooo cute! It made for the most perfect prop and really added that fairytale-like element to all my photos. In case you also wish to take home a small bundle of fresh lavender, there is a u-pick option for $5 USD. This was a second farm that we visited during our trip. Again, Port Angeles is quite close to Sequim. From Washington Lavender Farm to Purple Haze, the drive took about 20 minutes give or take. 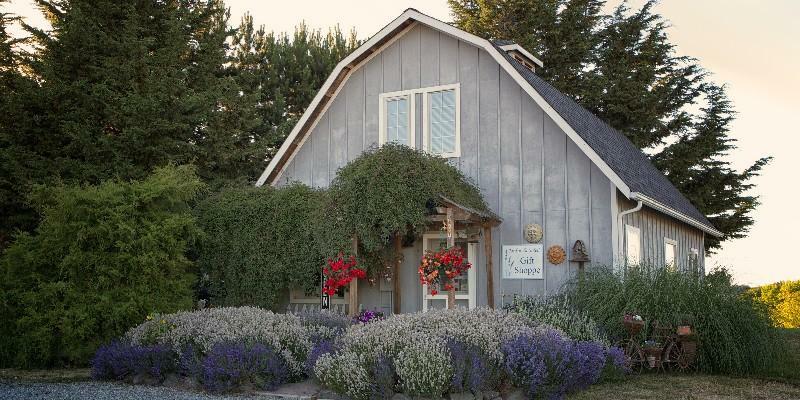 The farm is an organic lavender farm and expands over 12 acres of land. Although a bit smaller and not as impressive in terms of the (ocean) views, I found Purple Haze to be a much better choice for taking photos. I say that because the ground is a little elevated in certain areas and not completely flat. This in turn creates a nice effect as if there were rows and rows of never-ending lavender bushes. In other words, you basically get a lot more depth and dimension in your pictures. Another reason why this is a better photo location is because the lavender are planted closer together. There are still pathways for you to walk in between, but they are just more narrow. Again, that gives off the illusion that you are surrounded by endless lavender. Like the first farm, they also have their own shop (which we didn’t have time to check out, plus we’d already purchased a couple goodies from the previous one). U-pick is available as well for the same $5 price point. The first Sequim farms started over 20 years ago when local farmers realized how ideal the climate was for growing lavender. Fast forward to today, Washington is now known for these family-owned farms with visitors who come from all over the world to visit. Since our trip was a short one with plans going to Mt. Rainier too, we only had time to visit Washington and Purple Haze. 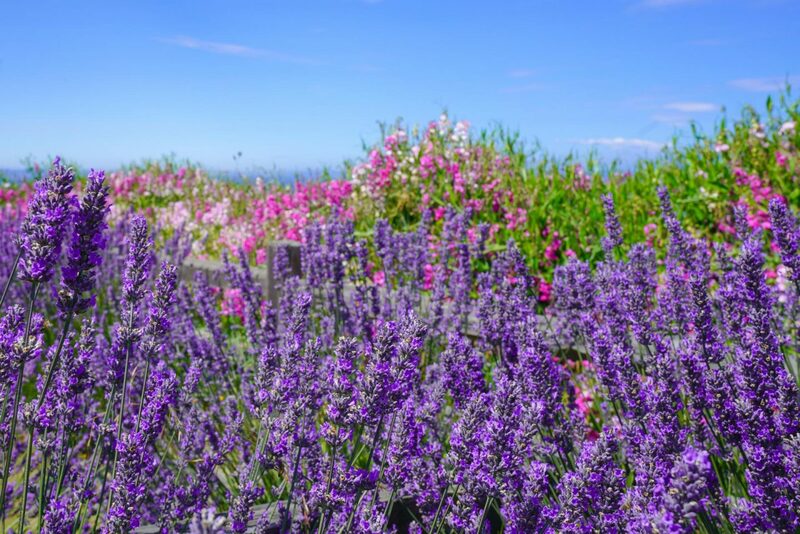 Apart from these two Sequim lavender farms, there are quite a few others that are absolutely lovely too. 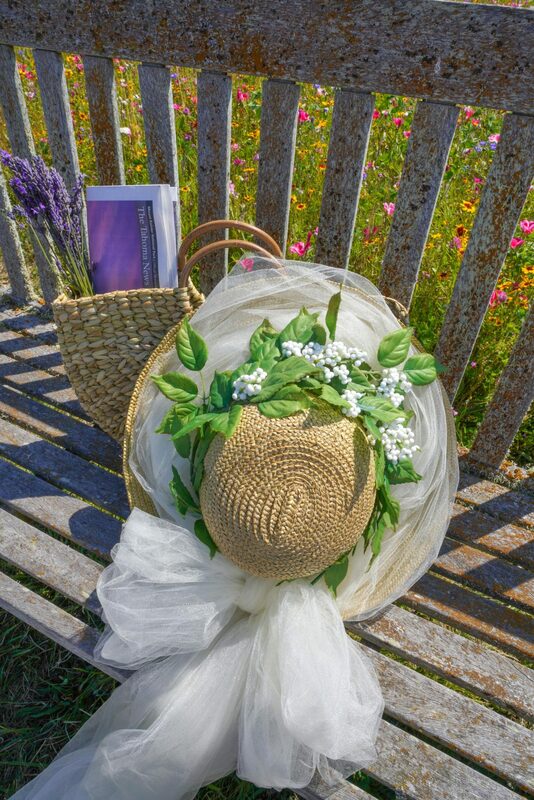 Image taken from Martha Lane Lavender official site. After visiting other loal farms, the owners of Martha Lane were inspired to start their own. They have been farming since 2005 and are committed to growing the highest quality lavender. 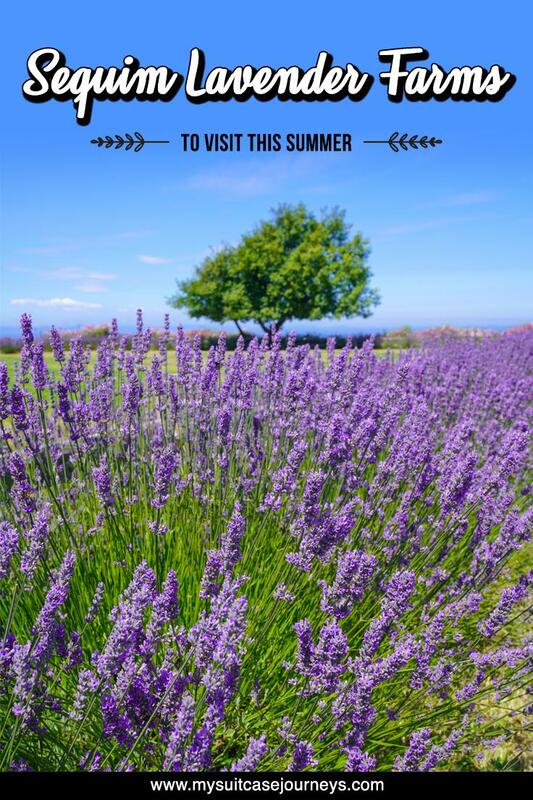 Image taken from Jardin du Soleil Lavender Farm official site. How adorable is their shop!? From brunches to concerts, this farm is full of fun summer activities. They even have a distillation celebration event where you can watch them demonstrate how lavender oil is distilled! The above two are ones that caught my eye and ones I would see the next time I’m back in Sequim during lavender season. 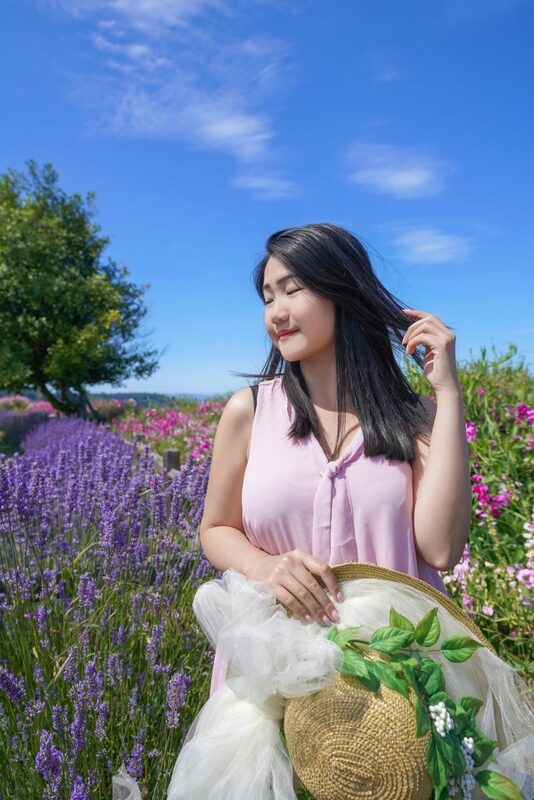 For the complete list of all Sequim Lavender Farms, head over to Sequim Lavender Experience. If you want to visit all the farms, you totally can! 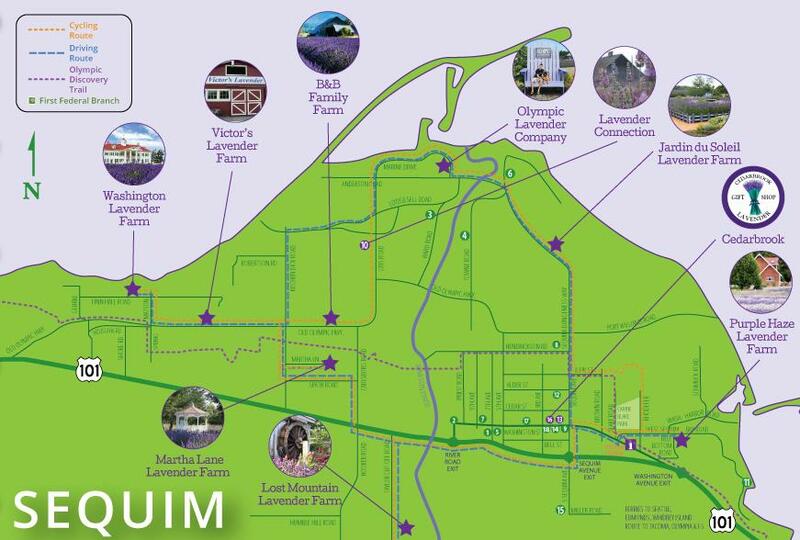 Below is a map with all cycling, driving, and walking routes clearly outlined by Sequim Lavender Experience. 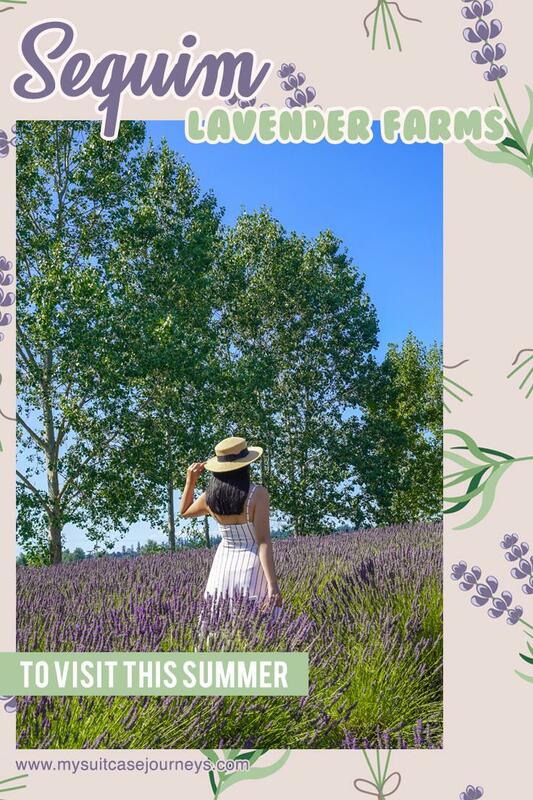 2018 Sequim Lavender Festival driving guide as provided by Sequim Lavender Growers Association™. 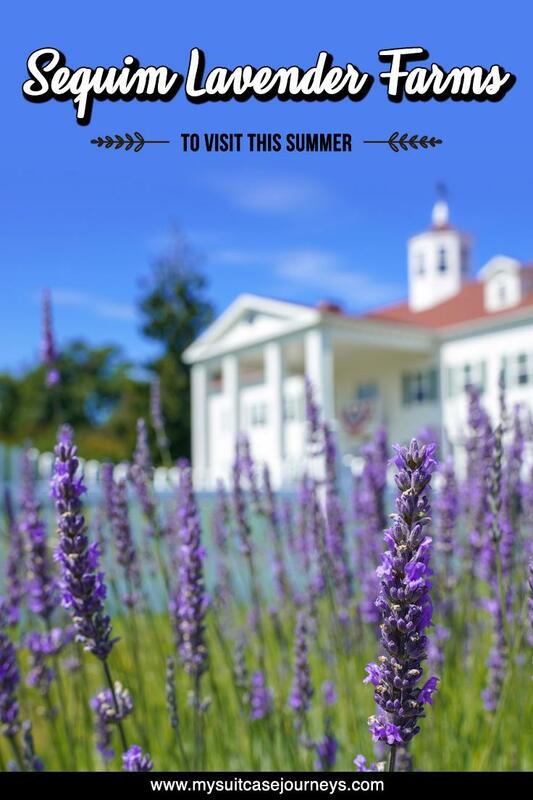 I didn’t know about this until I visited these farms, but every July near the end of the month, there is one weekend dedicated to what’s called the Washington Lavender Festival. 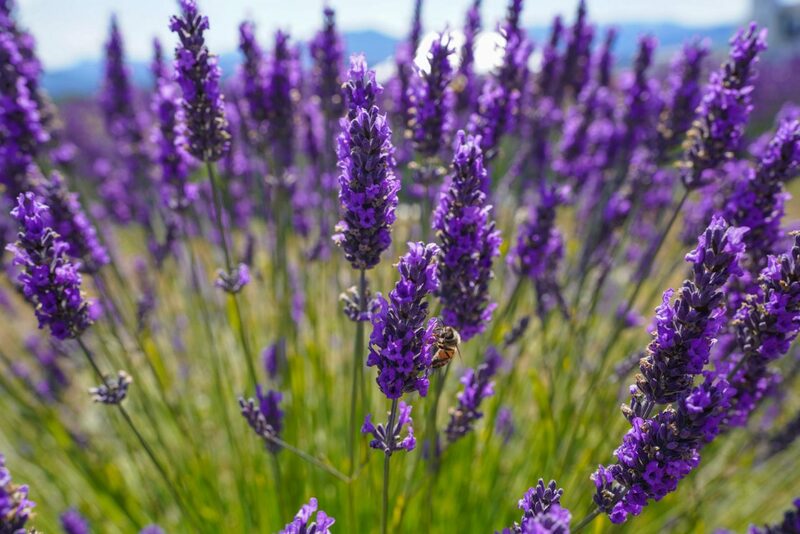 During this three-day event, vendors and all Sequim Lavender Growers Association™ members gather together to showcase gifts and products produced from their farms. There is delicious BBQ and yummy lavender ice cream and even a lavender scavenger hunt. The event is pet friendly plus there are self-guided farm tours that you can also take. More information can be found on their official site here. 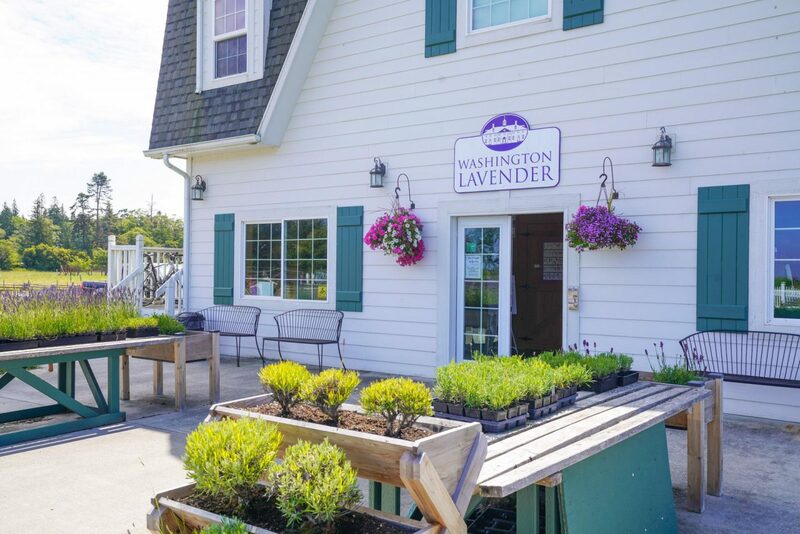 For the cool wow factor, Washington Lavender Farm is the place to go. For nice portrait shots, I would suggest paying Purple Haze a visit. They’re both beautiful farms, but if you only have time for one, this my recommendation. I personally enjoyed both and am happy we got to see them. I’d most certainly love to be back for the festival next year and will update you guys if I do. Also, if you have a little extra time in the area, I highly recommend a short half-day trip to Port Townsend as well. 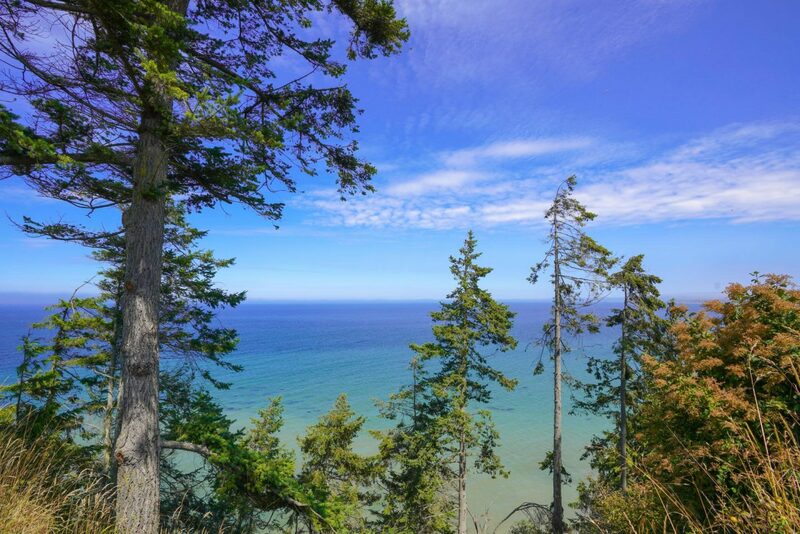 It’s a charming city just along the coast about 45 minutes away form Sequim and is quite the hidden gem. Back Road Ramblers has some amazing itinerary recommendations! One last note… OMG am I finally relevant for once!??!?!?!!!? 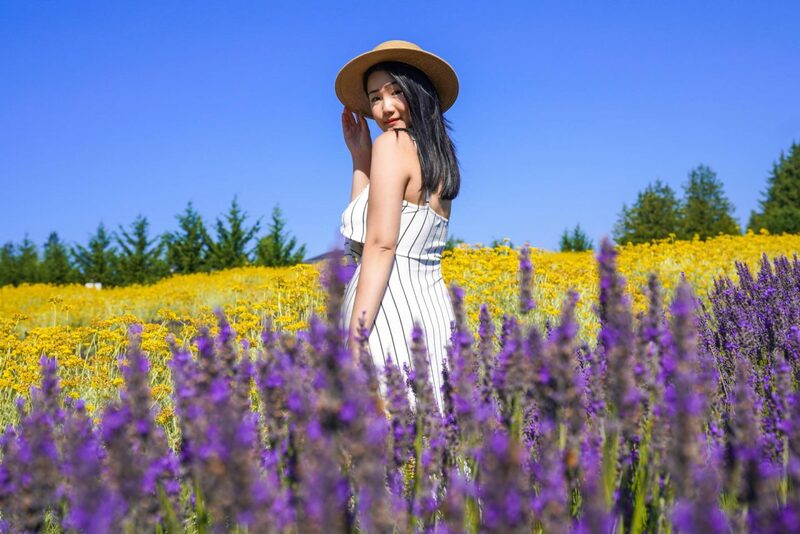 My 25th birthday staycation review + Yosemite Park guide are super overdue, but while these gorgeous lavender fields are still in season, I figured I’d share my most recent favorite finds with y’all! Stay tuned for more adventurous road trip guides coming your way and until next time! Had no idea that there are such beautiful Lavender farms. They sure are photogenic going by the great pictures you have shot! Will try and get to one on our next trip. Thanks for the tips and locations! What absolutely gorgeous photos. Unfortunately I really dislike the smell of lavender. Funny how so many love it and is such a common smell but I don’t. I we have a lavender farm near where I live and although not as pretty as this, its isn’t bad but have never visited it. The colours are so vibrant and so awesome for photos! I have not seen as many lavenders in my whole life as I have seen in this post and oh, how pretty they look. The purple bicycle adds to the garden ! So far we have actually not been to any flower farm but looking here, would want to definitely see a lavender farm! How wonderful it would be if it happens to be in Sequim itself! 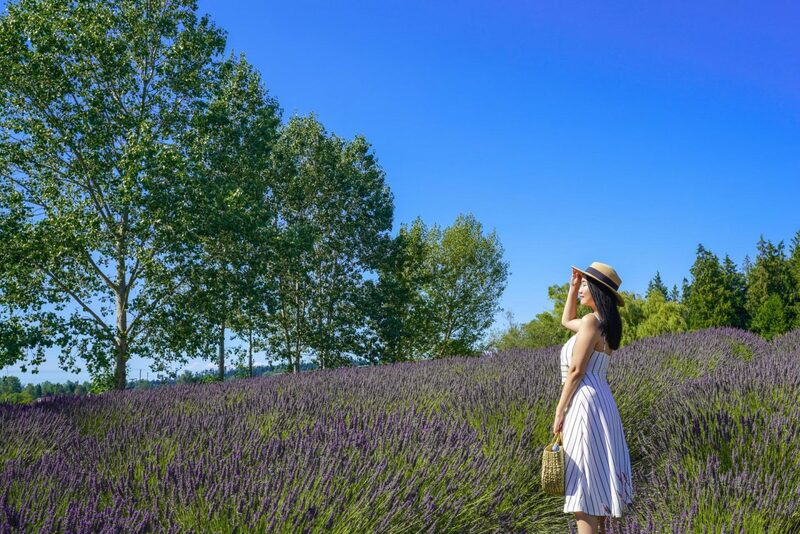 Wow – I always thought I had to go to Aix en Provence in France to visit beautiful lavender fields! Great to know I can stay in the same continent without having to cross the Atlantic! Definitely insta worthy pics! Thanks for sharing! Right!? Washington’s definitely a great choice for all of us that live in North America. I’m sure Provence is gorgeous too, but sometimes it’s nice to explore local backyards too. Had no idea that there were Lavender farms in this area. We have some a couple of hours drive from us (I’m in London, England), and I’ve been to the ones in Provence, but all these farms look equally picturesque and charming. Oh you’re so lucky then!! 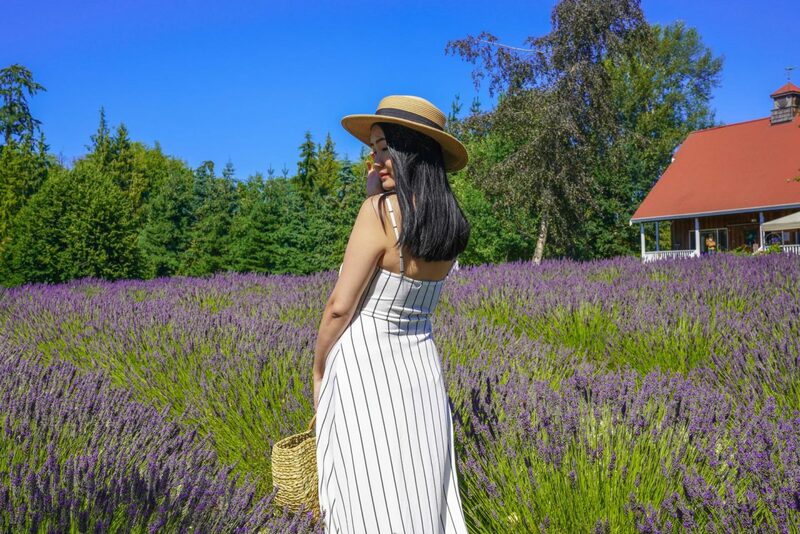 These Sequim lavender farms are seriously so gorgeous and I’m happy to hear confirmation that they compare to the world-famous Provence fields! 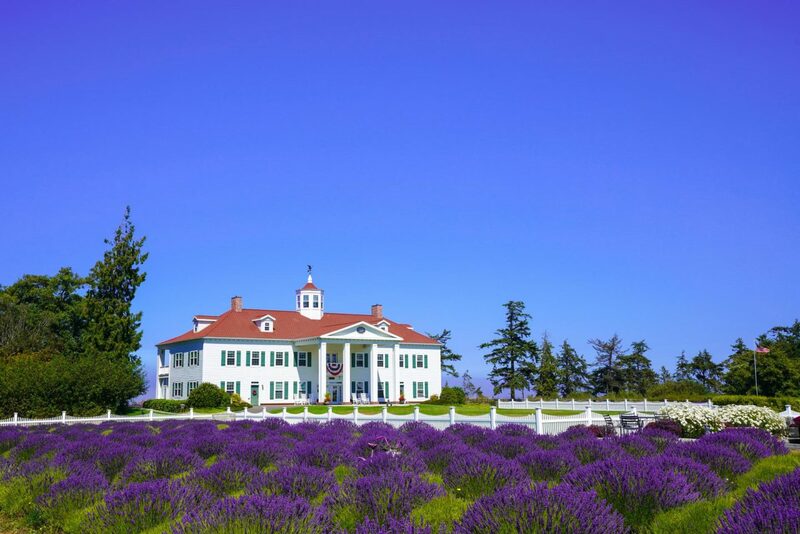 I’d love to stay at the cute George Washington Inn and go for a walk in the Washington Lavender Farm! It looks gorgeous. I’ve never been to a lavender farm in my life but those pictures are so Instagram worthy, I have to dorn a pretty white dress one day and go. Love your photos and you look beautiful! Thank you, Medha! And yes!!! Those were my exact thoughts when I visited. How nice it must be waking up in the morning to ocean views and the smell of lavender! 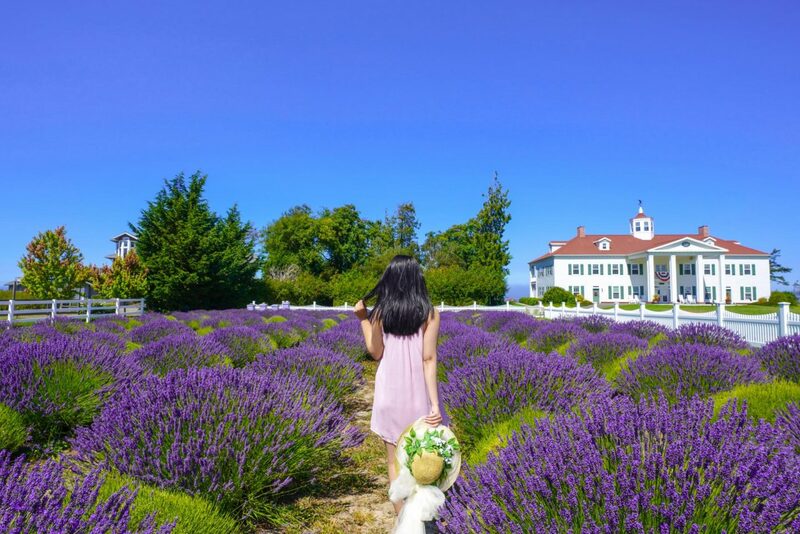 I have visited a few lavender farms in my life but Washington Lavender Farm is one of the most beautiful I must say and would live to visit some day. The colours are amazing and the George Washington inn in the back drop surely an added star to this place. Looks like it’s well maintained and great to visit for a photo shoot. Great post and thanks for sharing this place. You’re most welcome girlie! You’ll for sure have to hit them up next year!!! I just pinned this for later. My kids and I often travel up to Washington, and this would be such a beautiful destination to add to our next trip! Thanks for sharing. 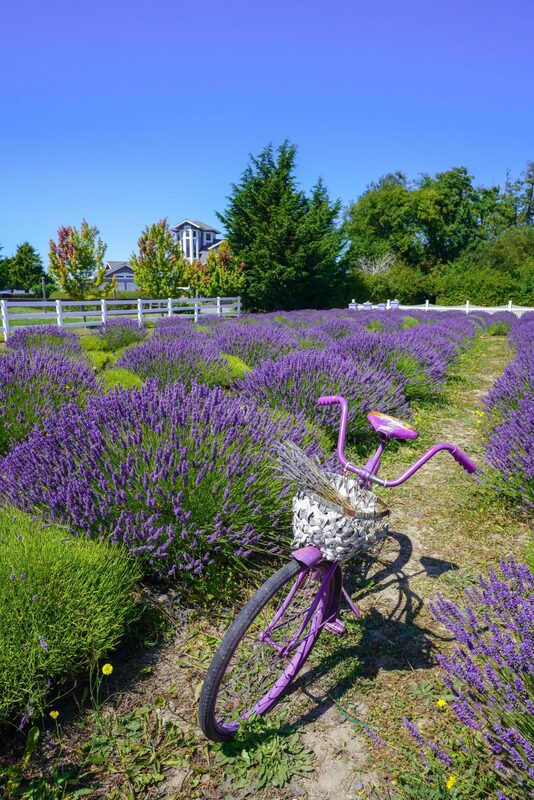 I have yet to visit lavender farms in Sequim., and checking them out are long overdue. Thanks for all the information about each farm and tips about visiting. You’re most welcome, Lara. Hope you’ll get to make that visit a reality soon! It’s so colorful, amazing. Im in Europe, but i will definitely suggest to my friends from Washington. Thanks for spreading the word, Samir! This looks like a true Sequim for a dream. I love the colors and it does look like Provence. I loved the summer wildflowers when I lived in Washington and could see myself returning to check out the gardens. Beautiful photography. How lucky you got to live there!!! It’s a short drive for me from here in Vancouver so I’ve recently started exploring the area and it’s beautiful! I have always wanted to go to Provence to see the lavender fields. I did not really know there were lavender fields in the U.S. I will need to put one of these lavender farms on my travel wish list. Interesting that there are so many in the same area of Washington state. 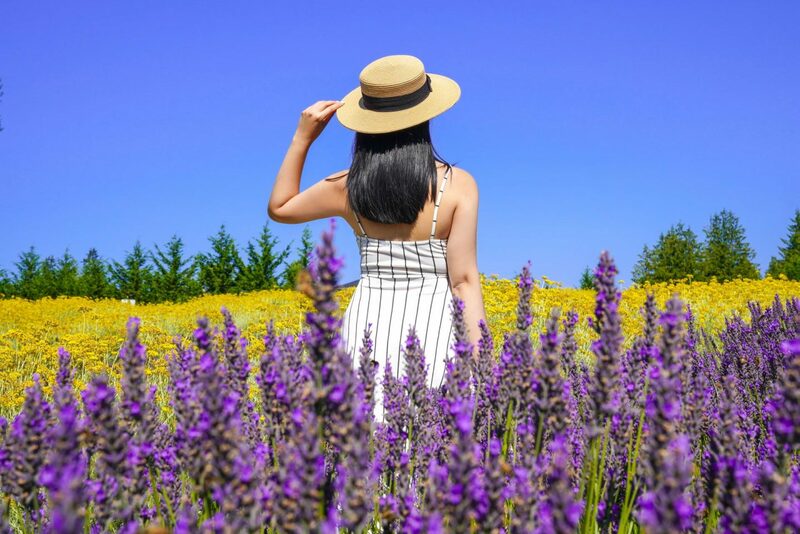 I will have to get the perfect outfit to travel along the Sequim Lavender Experience. Provence is super high up on my bucket list too, but definitely a little faraway. That’s why these farms make such a great close alternative! I knew Washington had great wine, but had no idea they had such beautiful lavender fields! It’s cool that you were able to visit more than one so you cold compare them. Both looked really lovely though and you took some really beautiful photos. Wow! Whenever I think of lavender farms, I ALWAYS think of France. I didn’t realize there were so many others. 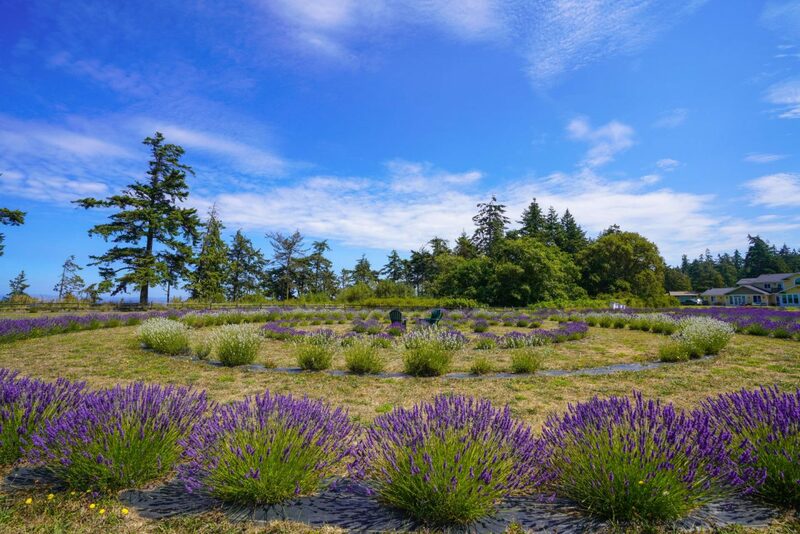 The Washington Lavender Farm looks incredible! 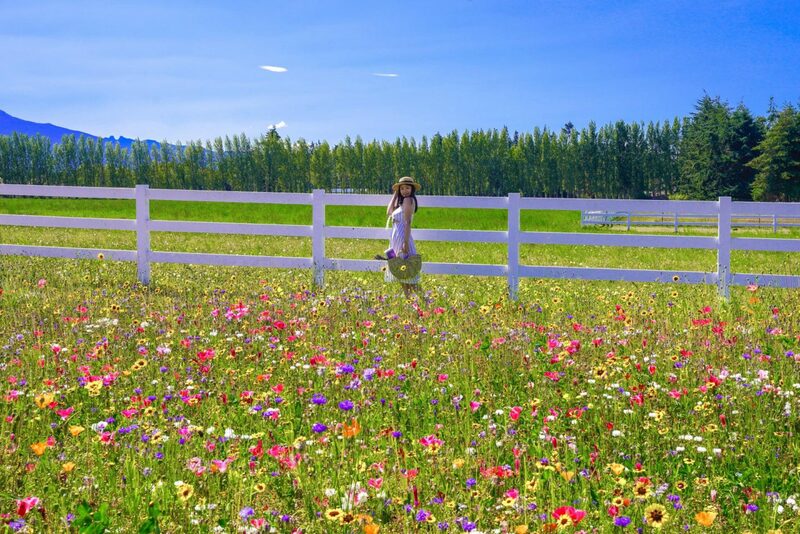 The photo of you in the beautiful wildflower field made me smile…it’s so bright and happy! I loooove lavender so I’m going to have to look in this! You’d love these farms, Jose! Hope you’ll get to check them out next year! 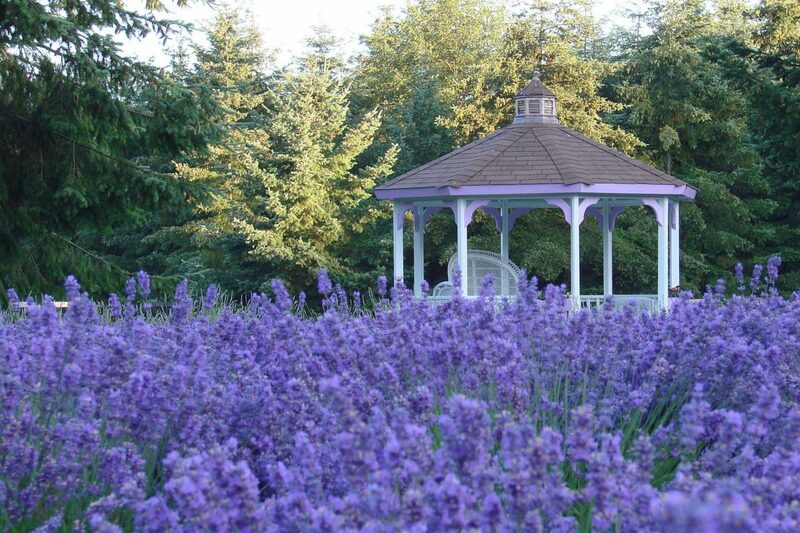 Lavendar is one of my favorite fragrances and I’ve been blessed to visit several but never in Washington or France. This is refreshing and a nice comparison. Where’s that!? I’m on the hunt to cross off more lavender fields now! Oh wow! At first glance at the vivid purples I truly did think it was in Provence! So neat to realize these are so close to home. Would love to visit for a photoshoot! Right!? It’s awesome you don’t need to travel far to enjoy something this beautiful. And yes, these make for great photoshoot locations!!! 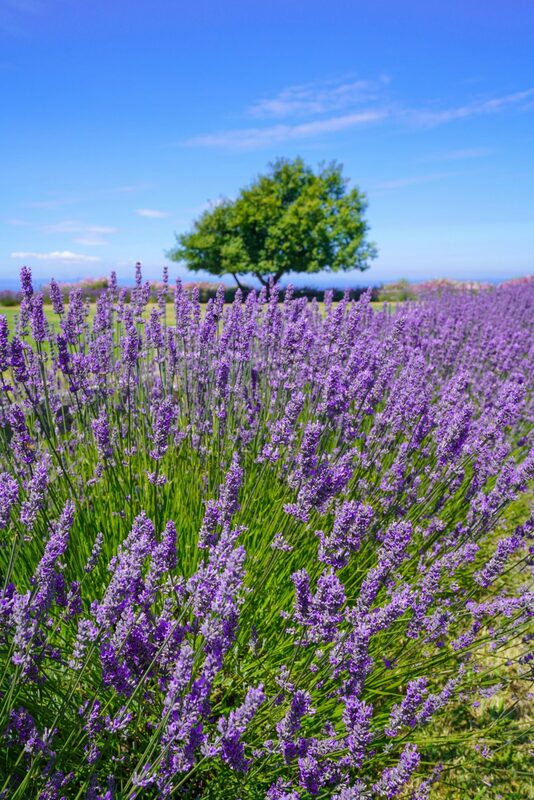 I love lavender essential oil but I’ve never read about lavender farms! It must be really relaxing to stay there! You’ll for sure have to pay a visit then Kirstie! Some of the farms go over the process of making essential oil and I bet it’d be interesting for you to see. I’ve been reading so much about lavender ice cream that I’m so intrigued to try it! These lavender farms are just so pretty, especially in the sunshine. I’ve never been to Washington when in the US, but I’ll surely make a point to stop by the next time I’m in the US. Glad to hear I could inspire you to visit, Lisa! And now you got me craving some lavender ice cream too!!! Purple Haze has some awesome lavender flavors so do give them a try! Hehee hope you’ll get to check out one of these farms next year, Candy! What an awesome alternative to Provence because as you stated, most can’t just take off for France. I’m always looking for beautiful spring (tulips) and summer flower fields to visit here in the US or in Canada so this is a perfect list! My favorite would definitely have to be the Washington Lavender Farm. It’s so visually stunning! I had NO idea that lavender comes in colors other than well, lavender! Your photos as usual are beautiful! You look gorgeous and your composition, especially with the macro shots of the flowers, is amazing! Tulips! Yes! I totally do the same too and it was my first time finding out that lavender comes in other colors besides purple too. (Ooops, hahaa.) Thanks so much Heather and hope you’ll get to check out some lavender farms next summer! The lavender fields are beautiful. Never heard of Washington lavender before. Thanks for sharing the valuable information. All the pictures are amazing. Some fab pictures you have here! I love the smell of lavender and i love the colour too. I never seem to find these places though aha! It’s similar with the sunflower pictures that go around, I only ever see them whilst i am zooming down a motorway. Oh no! Well you gotta stop next time you see them then!!! This lavender farm looks amazing! I’ve always wanted to visit one but just have never found the time. I need to make a conscious effort to get myself to one next year! You defs do, Nerissa! I’ll be keeping my fingers crossed for you to visit! Lavender to me is always Provence, so it’s lovely to see so much of it elsewhere too. It must be almost intoxicating with so many plants in the fields and that glorious scent. As we have a plant in our hall, it seemed almost as though your writing was accompanied by the scent of the lavender while I was reading. Maybe the net has finally cracked the barrier to a full sensory experience! Had no idea there were such beautiful lavender farms in Washington! 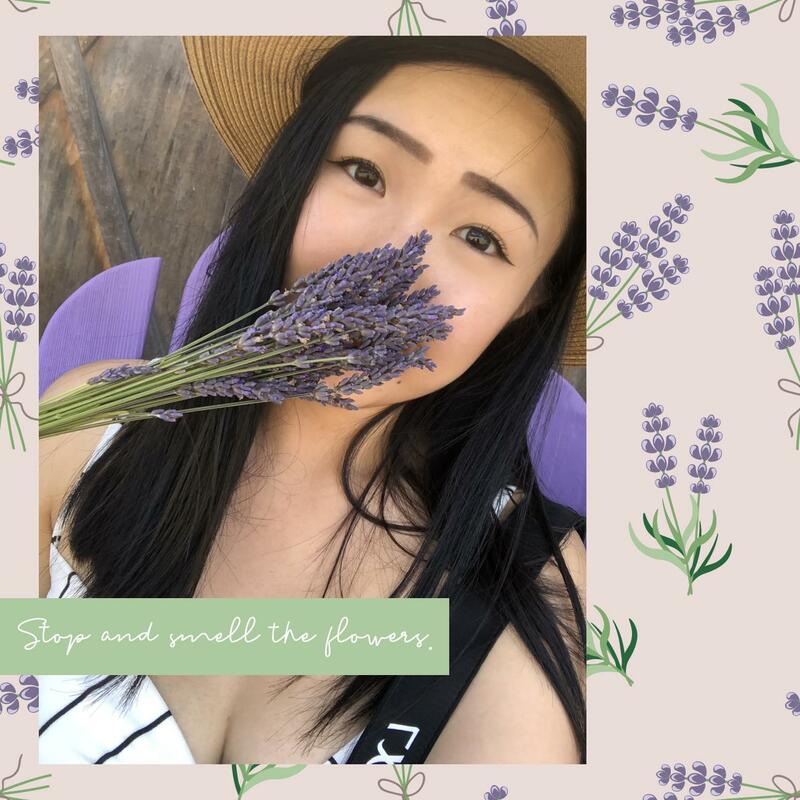 I’ve always wanted to visit a lavender farm and these are much easier for me to visit than Provence. Yay! Glad to have shared these alternatives with you Patti! Beautiful, it’s certainly opening my eyes to visiting more of Washington! Love your outfits too, perfectly planned to roam through the fields. Gotta always match my outfits to the scenery hehee. Thanks Natasha! As someone from western Canada, I am thrilled to see that a place like this exists so much closer than Provence! The colors and scenery are so beautiful. I would love to visit here and have family photos done! Sooo beautiful! I love your photos! I had no idea there were such gorgeous lavender fields in the States! Next time I am going through some insta-envy, I will have a shorter distance to travel. Thanks for the tips! Lavendar is my favorite essential oil to diffuse! I have yet to check out any Lavendar farms in Washington but hopefully the next time I visit during spring and summer! Thanks for sharing! You’d definitely love these farms then Josh. Some of them show you the process of making the oils and I bet it’s super cool getting a glimpse on the behind the scenes! I absolutely loved all your pictures. 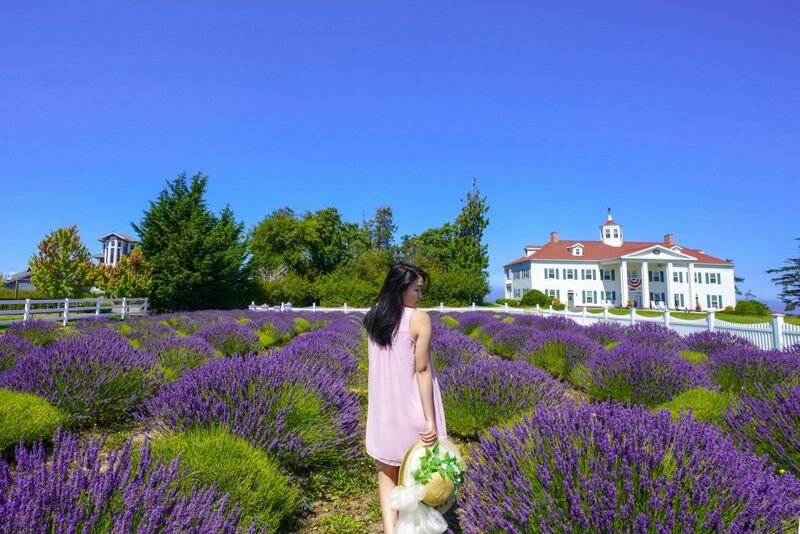 And honestly, I had no idea about lavender farms in the US. Thanks for introducing them to me. Do they happen to sell those beautiful lavender ice creams as well? Thank you so much Soumya! I can’t speak to the ones I didn’t visit, but Washington Lavender Farm has sorbets whereas Purple Haze has a larger selection of ice creams. I’ve been wanting to visit a lavender farm for some time now. This just resparked my interest! And your hat is super cute! Thanks Jojo! Hope you’ll get to finally visit one next year!! What? No way! Washington State? Impressive. I visited an amazing lavender farm this year but it wasn’t nearly this cool. Your photos are amazing and I have to ask. Did you stage that purple bike or was it already there? Very clever! Absolutely beautiful! Your pictures are amazing . Oh my word. 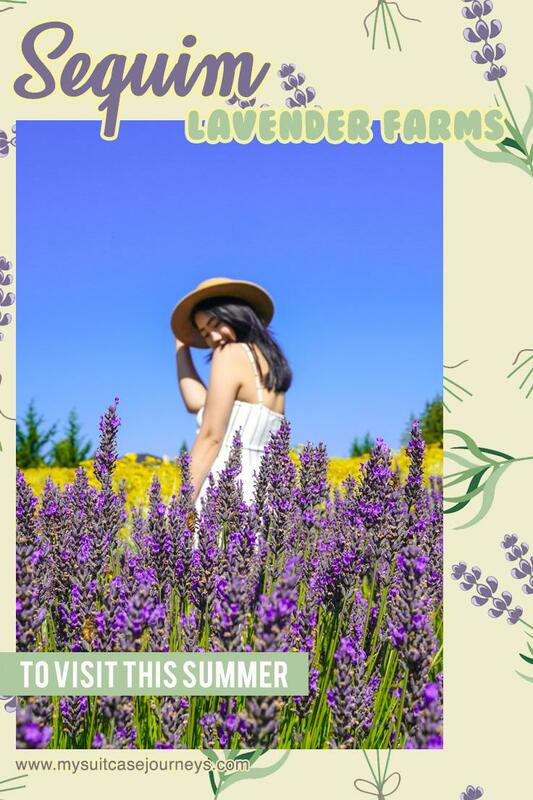 Those lavender fields are an instagram dream! I would love to explore them and I had no idea that they were so close to where I live! Ahhh Cebu! I’m planning an extensive SE Asia trip for next year and would definitely love to visit the Philippines! I definitely wish for the same as well. Totally wouldn’t mind being back here in paradise again! Omg! I’m booking a trip to Washington right now – this is incredible! I love lavender (it’s my fav) and honestly would spend all day with my nose in lavender bushes. Aww thanks so much, Lyne! Enjoy your weekend ahead!! Heh, I think only people new to photography photograph flowers, but this place really worth it. I would love to get there with my camera and picture all these, such beautiful colors. I completely disagree with you. I’ve been shooting for years and flowers still remain one of my favorite things to shoot. It really depends on the person and what their interests are. Flowers are actually superb for framing shots as well, but maybe you’re just not a flower guy. I had no idea lavender grew in definitely deferent colors. I thought it was just purple! This farm is GORGEOUS! And i love your hat. Omg I didn’t either hahahahaa. Thanks Amanda! Your photos look amazing. I love the details of the lavender as well as your outfit! My photos don’t even do them justice!